Prophets, as we wind down in this month of January, what are you hearing God say? We just crossed over “21” Days in the first month of 2017. Is God speaking to you about the awakening? Revival? Is God speaking to you around the biblical prophesy unfolding in government? In imposing nations? What is the Word for the people, specifically Hebrew Israelites around end times prophecy in Ezekiel, Jeremiah, Amos, Zechariah, and Revelation? How will you facilitate making sure people respond to the voice of God? “Man of God – Not Man is God” by Dr.J. Man of God be careful not to ruin your witness by focusing on the physicality (lust of the eyes) of your assignment instead of the severity and gravity of your assignment. Respect the woman of God and complete the assignment God has given you concerning her without corruption and manipulation. There are men who claim to be men of God but in actuality, well in a figment of their imagination, they are “god.” How? They use spirituality – the Word, spiritual gifts, and a form of godliness – and their earthly power to woo and worse manipulate women of God. God created women from man as weaker vessels, not to be toyed with, tricked, used, and manipulated but to be protected, cared for, and loved. God also called man to wash women in the Word. So if we aren’t right, man is used to get us right. 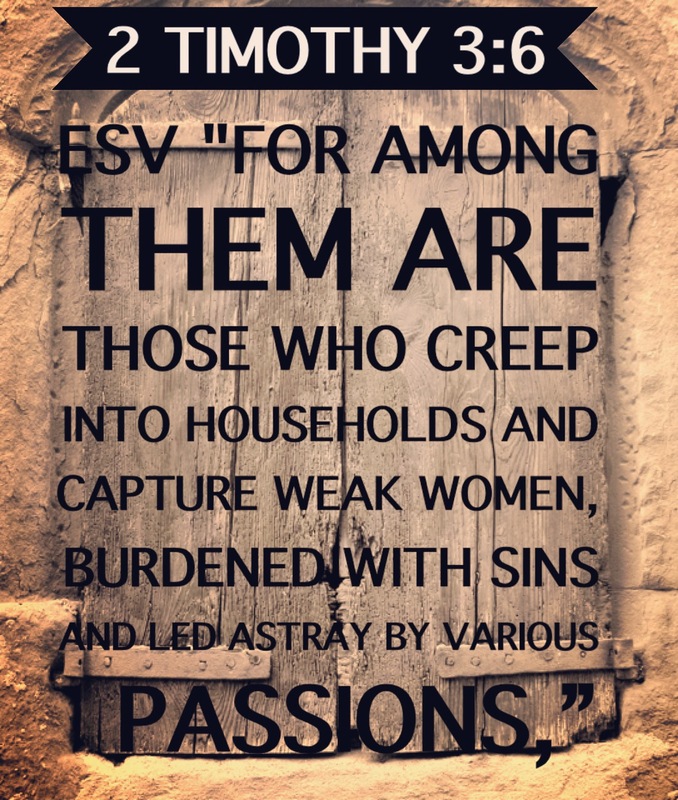 Men in the guise of godly prey on women (no pun intended) who are in distress and who are somewhat gullible because they lack spiritual discernment. Men pretending to be godly look for openings in a woman’s spirituality (a gap in her faith), however small, to deceive her and even adulterate the word of God for an opportunity to make her his conquest. In my experience, the main form of godly manipulation used by these men-who-are-gods has been prophesy. “God told me to tell you.” “God gave me a vision of me and you in ministry together.” “God showed me that you are my wife.” This type of spiritual deception causes paranoia and suspicion in the body of Christ for both women and men who are truly of God. Unfortunately, the only way to end this travesty of godliness in the church is through spiritual warfare as they men are operating under the power of Satan and spiritual discernment- or God Himself bringing their evil to an end. Some of these men, because of their position alone obviously, have been entrusted with the care, counsel, and protection of the women of God and the body of Christ as a whole. How evil is it that these spirits in these so-called-men-of-God can transfer to other men in the church too? God will hold them accountable. My prayer is that the spirit of deception, lies, falsity, and evil will be exposed in the name of Jesus. My prayer is that God will remove the veils, scales, and cataracts off the eyes of women. My prayer is that God will heal broken women and make them whole so that they don’t feel the need to fill the void with false doctrine from a false man of God. My prayer is that women of God will have the gift of discernment to see this man-who-is-god coming a mile away. Dr.J.